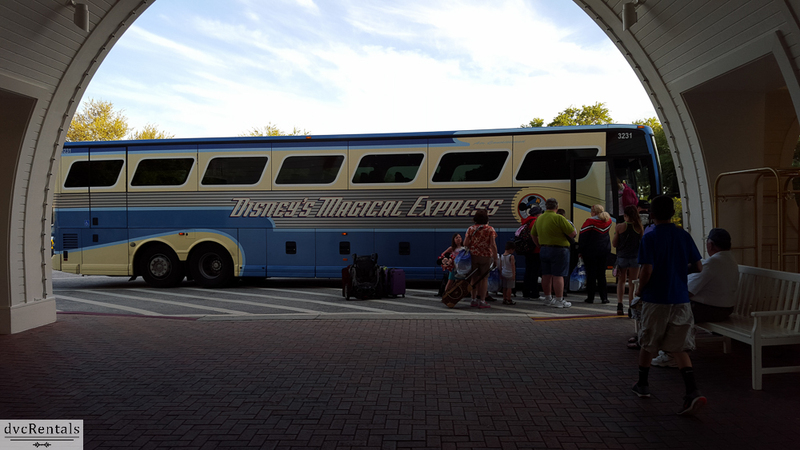 One of the really cool advantages to staying at a Walt Disney World Resort is you are entitled to a free bus ride from the Orlando International Airport (MCO) to your Disney Hotel (This is the ONLY airport in the Orlando area that offers the service. If you arrive at Sanford or any other airport in Florida you will have to arrange your own transportation to Walt Disney World). Round trip from MCO to Walt Disney World from a car service will run you $100 or more, depending on what form of vehicle you rent and how many people are with you, so Disney’s Magical Express (which I will refer to as DME in this blog) can save you a LOT of money. The Swan and Dolphin resorts, as well as Shades of Green, are not currently part of the DME program, as they are not run by Disney, in spite of them being on Walt Disney World property. DME is available day or night for Guests with advance DME reservations. An additional bonus is luggage delivery service is offered for flights arriving between 5:00 am and 10:00 pm. During these hours you can board the DME bus without having to wait for your luggage. A separate vehicle will deliver your luggage to your room in your Disney resort approximately three hours after you have arrive. You also have the option of collecting your luggage and taking it on the bus with you if you arrive during the hours listed above. For airport arrivals after 10:00 pm, Guests pick up their luggage at Baggage Claim and transport it with them on the bus, there is no option for having it delivered separately between the hours of 10:00 pm and 5:00 am. Guests booking through Disney request DME service when they make their room reservation, or any time after they have booked a room at a Walt Disney World Resort via Disney’s reservations process. Guests must be listed by name on the room reservation to be eligible for DME service. Guests on the same room reservation arriving on different travel dates may be added to the DME Reservation by contacting Disney’s Magical Express at 1-866-599-0951 in advance. This is also the number to call if you book a Disney Resort reservation but did not request DME at the time you reserved your room. 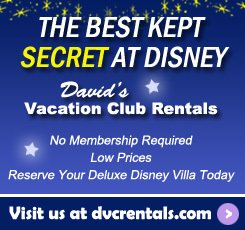 When renting DVC points from David’s Vacation Club Rentals, please request DME from our team at least 30 days prior to your check in date so that we can contact the owner to make arrangements for you. Approximately 6 weeks before you arrive you will be mailed: General information about the DME service, a map that will direct you where to find DME at Orlando International Airport, a booklet with DME vouchers, and one luggage tag per person listed on your reservation. Guests should present this information upon arrival at DME. If you do not want to take your luggage with you on the bus do NOT attach the DME luggage tags to your bags. They can be saved as a souvenir if you wish. If you need additional luggage tags call (866) 599-0951. Guests arriving between 5:00 am and 10:00 pm who do not have tags on their luggage (those who never received or forgot to use the tags) who would like to use the luggage delivery service should NOT go to baggage claim and collect their things. These Guests should go directly to the DME location at the airport. Upon check-in at the DME desk, Guests should give the Cast Member assisting them their airline baggage claim numbers and a representative from DME will claim the luggage on behalf of the Guest and have it delivered to their resort. If you opt for your luggage to be taken separately and NOT on the DME bus, it will more than likely arrive at your resort 2 or 3 hours after you. I suggest you pack essential items (e.g., medications, change of clothes, swimsuits, sunblock, etc.) in a carry-on bag so you have access to these important items immediately upon arrival at Walt Disney World. All checked items claimed by arriving Guests or carried on aircraft may be transported to a resort. Items meeting the size dimensions of the motorcoach luggage bays will accompany the Guest to the resort. Alternate arrangements will be made for larger items. Guests under the age of 12 must be accompanied by a parent or guardian who meets eligibility guidelines, however the adult does not have to be listed on the same resort reservation. Guests arriving at the Orlando International Airport should take the tram from the gate to the main terminal and proceed to the DME area which is located on Side B, Level 1 (Ground Transportation). 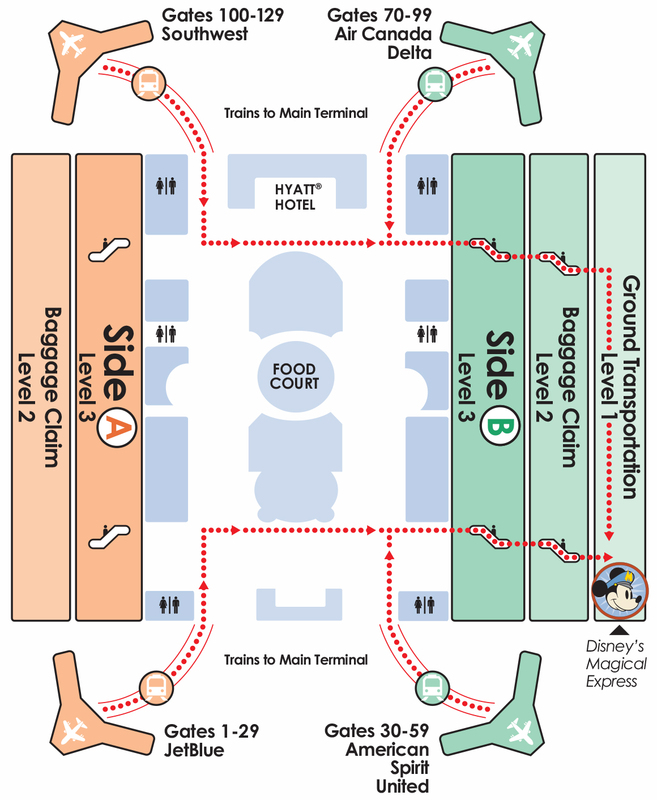 As mentioned above, a map to the DME location is provided in the Disney’s Magical Express documents mailed to Guests located in the United States and Canada. A map is also available to Guests online at Disneyworld.com/magicalexpress. (a copy of this map is included in this blog). For airport arrivals after 10:00 pm, Guests collect their luggage at Baggage Claim, proceed to the DME area and transport their luggage with them on the motorcoach. In case you’re wondering, carry-on luggage is permitted on the DME bus, no special permission or “heads up” in advance needed. 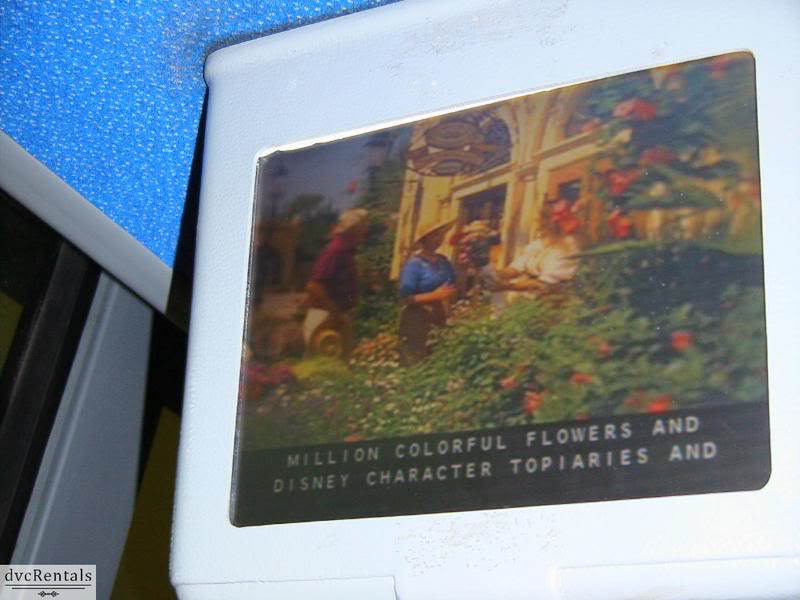 Guests arriving with a MagicBand may use it to board DME from the airport to the resort or Disney will scan a barcode printed on Disney’s Magical Express ticket booklet that was mailed to you earlier. Lost or forgot your band or booklet? Never fear! Guests with a DME reservation arriving without a booklet or a MagicBand will be directed to a service desk where you will be assisted. Once you have arrived at the DME area you will be assigned a line based on what resort you are staying at. 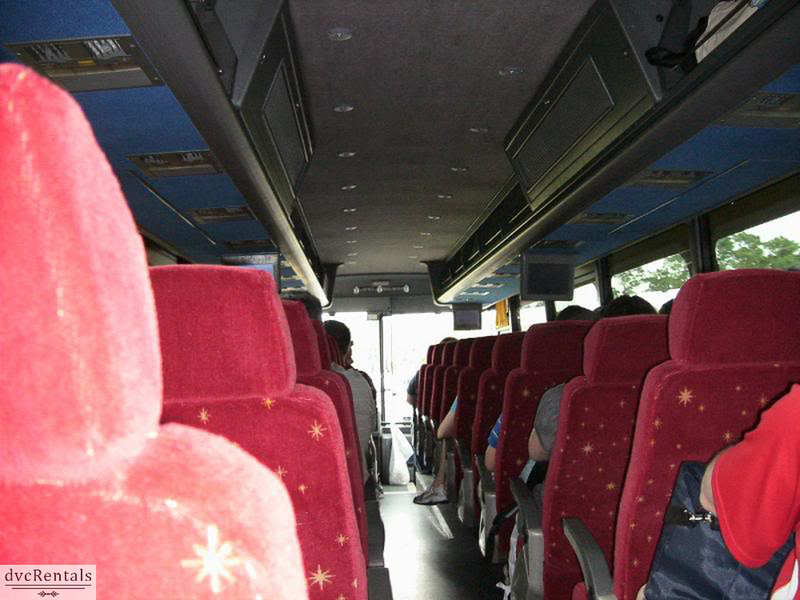 It is luck of the draw how fast you will get on a bus and arrive at your Disney Resort. Sometimes your bus will be there and you will get right on, sometimes you will have to wait a while. Naturally the wait will be longer during busy times such as Christmas week. 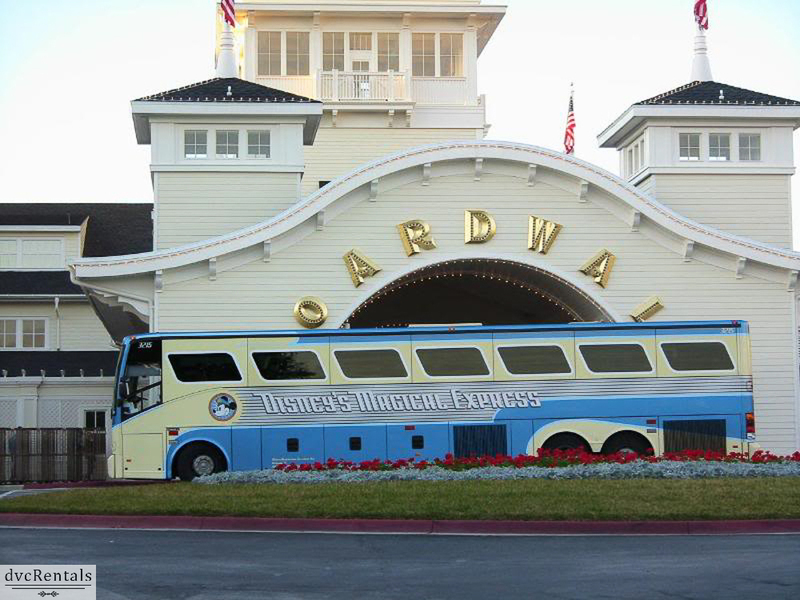 Additionally, be advised that your DME bus may stop at multiple Disney resorts. (approximate travel time is 45-60 minutes on average). 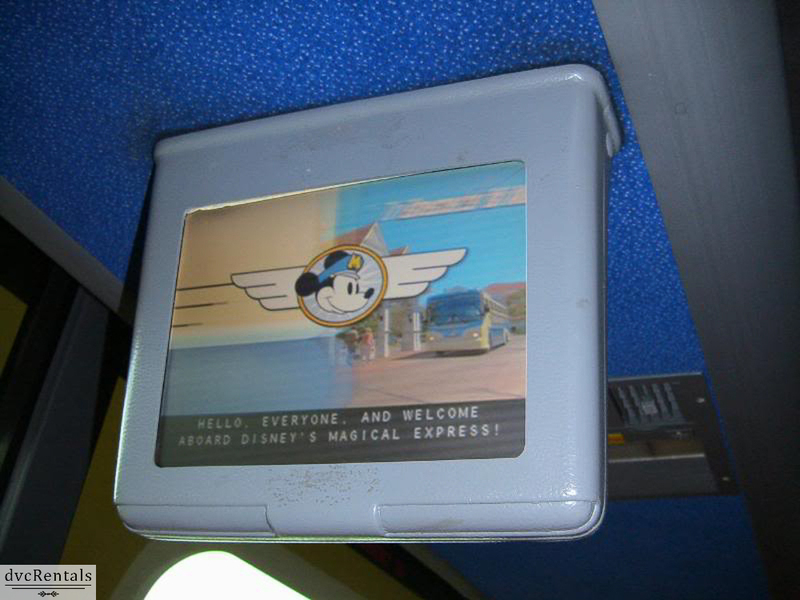 An overhead monitor with movies of Walt Disney World and characters will play as your bus takes you to your resort. It’s fun and entertaining and really gets you in the mood for Disney, and makes the trip seem faster. No pets are allowed on the DME bus; however, service animals are permitted. Additionally, wheelchairs are permitted, but please tell the Cast Member when you book your DME that you’ll have a wheelchair with you. Once you arrive at your resort, check in to your room and feel free to go right out and start enjoying the magic. Guests are not required to be in their resort room to receive their luggage. If there is more than one room on a reservation, all luggage will be delivered to the lead Guest’s room. If you have opted to bring your luggage with but your room is not yet ready, Bell Services at your resort will happily hold onto your luggage until you are ready to collect it. Gratuities are included for luggage delivery to the room by Bell Services for the inbound service only, so when you check out it is recommended to tip the Bellman. I tip for delivery as well which is an individual choice. I generally tip the bus driver if they have handled any of my bags, even a carry on, although that is also not mandatory. You can add both inbound and outbound information when you first make your DME reservation. However, Guests who need to add their departing flight information to their DME reservation may contact the DME Service Center at (866) 599-0951. Guests with DME reservations will receive a notice at their resort the day prior to check-out, generally slipped under the door to your room. This document serves as a boarding pass and is collected by the driver to the DME bus back to the airport. MagicBands are not currently used for the departure transfer. The notice will provide a motorcoach pick-up time scheduled approximately 3 hours prior to departure time for domestic flights, and 4 hours prior for international flights. Eligible on-property Guests who do not have a pre-existing DME reservation may call the DME Service Center at (866) 599-0951 to arrange return transportation to the Orlando International Airport. 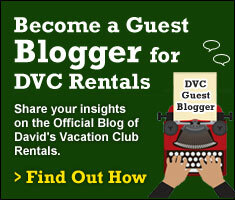 When renting DVC points, the owner must make these calls for you. Certain airlines are considered “participating airlines”, and guests using these airlines may take advantage of Resort Airline Check-In. Airlines who participate vary so check when you make your DME reservation to see if your airline is on the list of participants. If so you can give your luggage to the Cast Member at the Resort Airline Check in area at your hotel and they will transfer it to the DME bus for you. This service also allows you to obtain your boarding pass bypassing airport check-in completely. If your flight is after 12:00 pm, your boarding pass will be delivered to your room on the morning of your departure. Guests are responsible for transferring their own luggage to the motorcoach for departure if they do not participate in Resort Airline Check-in. Once the DME bus arrives at the airport it will stop at both Side A and Side B of the Main Terminal Building. The driver will announce what airlines are on which side of the terminal so you know where to disembark. DME is a nice, easy, convenient and free service, and I highly recommend using it. As soon as you board the bus you will feel like you have already entered the magic. The Cast Members are all so welcoming, the movies playing overhead are awesome, and you’ll be riding with a bus full of people who all are excited to visit the Happiest Place on Earth! 13 thoughts on "All About Disney’s Magical Express Service"
No flames please…I was considering going to Universal hotel when we got off the plane in Orlando…but the very thought of figuring out rides for 8-10 people…..made me reconsider and schedule DME for all of us and head to the BWV’s!!!!!!!!!!! 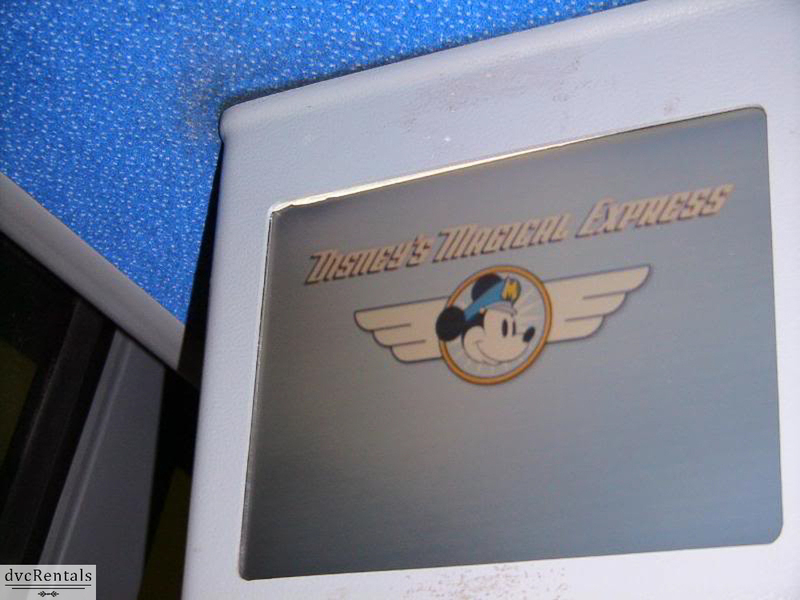 My question is… how does Disney’s Magical Express turn in to Disney’s Tragical Depress for the return trip? 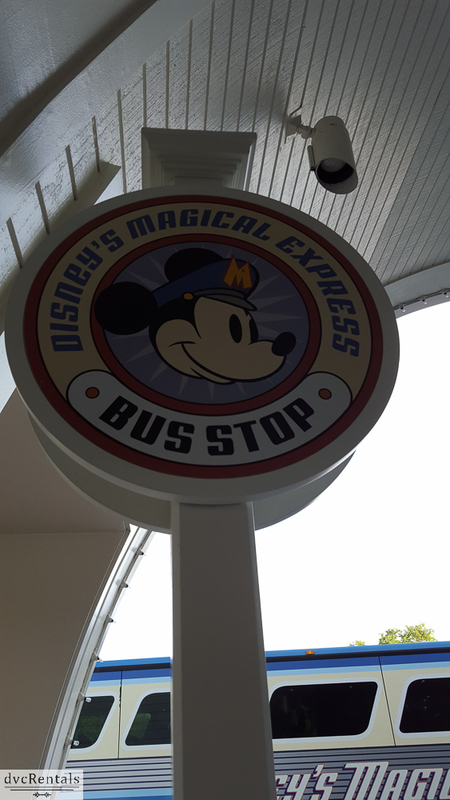 When I see the sign for Magic Express at MCO, that’s the point at which I turn into a giddy 6 year old for the entire week! I love not having to hassle with all the bags when it’s just me and daughter, and also when we go with a group of 6 or 7. Can’t wait to see the welcome video in 22 days! Does DME have a schedule what resorts they go to first? it depends on the mix on the bus. We have gone on a bus that happened to be full of people going to All Star Sports and thats the only hotel we went to! I’ve taken DME more times than I have fingers and toes. I’ve gone to most of the resorts, a few of them repeatedly. I seldom have had the same route twice! I’ve been on a bus to Pop, once it was the last of 3 stops, 3 times it was the first stop! The routes, and resort stops, are very fluid. No way to be sure what resorts will be combined on a route, or what the order of stops will be. I just took DME last week to the contemporary and we were the only ones on the bus! We landed at 6am so it was a quick quiet ride. Make sure you tip the driver.